Culture is essential for a company. Wherever people gather, that’s where culture can be found. Culture of a company represent visions, missions, core values, goals and environment of the company. The right cultural foundation could help organization realize significant performance improvements. Corporate culture is the most important factor in driving innovation. 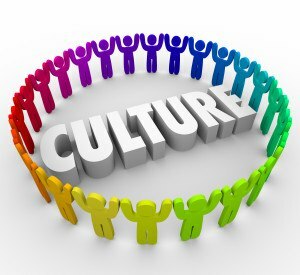 So, lets see how culture lead your company to success. The ways you commit to building a positive culture today will pay off for you, but it might take a while. It might take years, in fact. Therefore, culture is about much more than your performance in the moment: It’s about committing to service excellence for the long haul and creating brand loyalty. Culture is the central idea of a company. As a employee, they always look at company’s culture to determine whether the environment and working style of the company fit with them or not. Employees retention in a company which do not have own culture might not strong as they might found the company working style not suitable for him/her after work for a short period. Another of the most important facets of company culture involves values. Nothing in life is worth doing unless you have a good reason and a solid mission. Everyone working for a purpose, without purpose we do not have motivation that encourage us move forward. So, set a company culture and set a goal for your employees. Culture is all about what you value — and valuing the right things could mean a significant positive influence on your efficiency. Value is important to drive our efficient on working.